Study ranks D.C. traffic 2nd-worst in U.S. The study finds that the average area commuter spent 75 hours stuck in traffic last year. WASHINGTON — The nation’s capital is receiving another round of recognition for its infamous gridlock, as a new study ranks D.C. traffic among the worst in the nation. INRIX, a global company that studies transportation, conducted research in metropolitan areas across the country, and says D.C. had the second-worst congestion in 2015. The average local commuter spent 75 hours stuck in traffic last year. Number one was Los Angeles, where drivers were stuck in traffic for 81 hours. “Nationwide, commuters spent a total of more than eight billion extra hours stuck in traffic, representing almost 50 hours per driver,” the study says. I-66 eastbound between Va. 234 (Exit 47) and Sycamore Street (Exit 69), which had 56 hours of delay. The study found that the worst time to travel the worst Beltway stretch was Wednesdays at 5 p.m. With no traffic, it takes about 20 minutes to drive that 20-mile length of road; during the worst time, about an hour. The I-95 stretch is at its worst on Fridays at 4 p.m., when the 22-minute drive takes 78 minutes. The I-66 stretch is at its worst Tuesdays at 8 a.m., when the 22-minute trip takes nearly an hour. 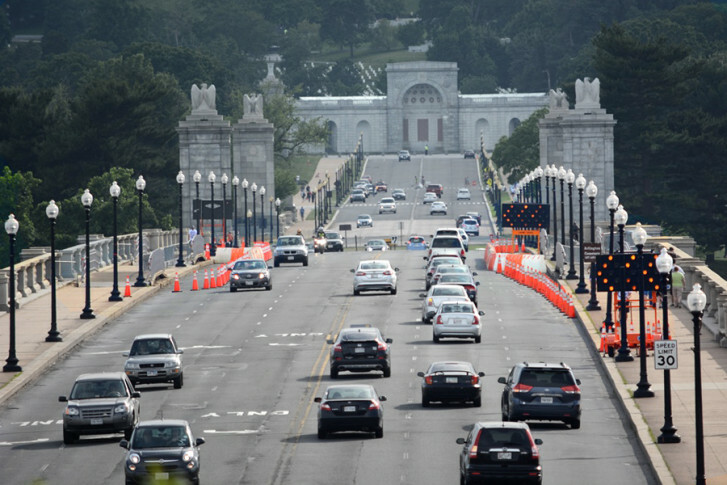 “The worst days to travel in D.C. are Tuesday, Wednesday and Thursday,” says Jim Battagliese, WTOP’s director of traffic and weather operations, after looking at the study and talking with INRIX. He says it has a lot to with the federal government giving employees the opportunity to telework on Mondays and Fridays. INRIX compiled its score card from traffic speed data it collected on more than 1.3 million miles of U.S. roads, along with data from the Federal Highway Administration. See the full score card on the worst travel corridors.